8HP45-55-70 or 845RE transmission bushing kit from Omega Machine & Tool Inc.
8HP45 transmissions are used in the BMW Series 1,3,5,X4, Chrysler 300 V6, Dodge Charger V6, Ram 1500 V6. The 8HP50/55 are used in the Series 5 BMW and the Audi Q5,7,8 and A8L. The 8HP70 is used in the 7 Series BMW, BMW X5 and many others, (see below). When used in the Chrysler it is called an 845RE transmission. 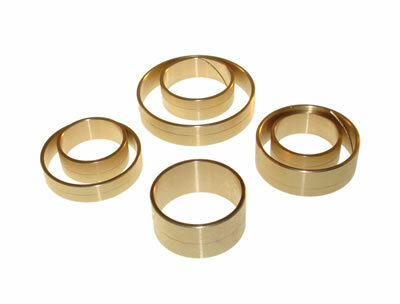 Omega Machine & Tool Inc. now has bushing kits for this very popular transmission.